Never mind Britannia or John Bull. The true symbol of British spirit is a middle-aged misery guts. Yes it is, don’t argue with me, now stop answering back and turn that ruddy radio down. Short-tempered curmudgeons have been the backbone of comedy since Tony Hancock was grouching about East Cheam, moaning about teddy boys and traffic wardens. ‘Stone me, I don’t know why I bother,’ he constantly grumbled, a phrase that should be our national motto — carved above the Lion and the Unicorn crest, instead of that French mumbo-jumbo about ‘honi soit qui mal y pense’. Down the years, we’ve so often saluted his type: Leonard Rossiter as Rigsby the spiteful landlord in Rising Damp; Martin the petty-minded spouse played by Richard Briers in Ever Decreasing Circles; the insufferable Victor Meldrew (Richard Wilson) of One Foot In The Grave. 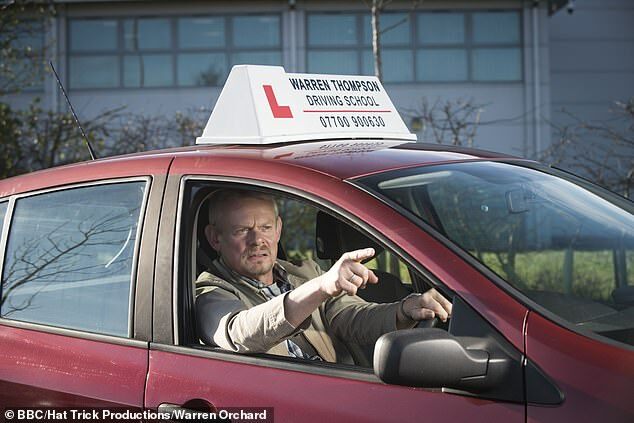 But we haven’t seen a classic example of the species for years —until Martin Clunes pulled up in his Renault Clio as a mean-minded, bullying, tight-fisted driving instructor in Warren (BBC1). Within ten minutes, it felt like we’d known him all our lives. Clunes, already well-loved as the humourless GP who faints at the sight of blood in Doc Martin, was perfect casting. He’s got the physical presence, a truculence that feels intimidating because of his sheer height. When he cut a driving lesson short and threw his student out of the car, it was entirely believable. But we also know he’s a coward — and when he was caught fly-tipping on a country lane, the angry glare of a farmer had him cringing and bent double. This first episode spent a lot of time doing the introductions, which weren’t really needed since the situation was so traditional. Warren is a stepdad to two teenagers, one idle and the other swotty, while his frustrated partner Anne is sweet, nervous and desperate for a bit of affection. Anyone who remembers Wendy Craig in Butterflies will know every nuance of that set-up. Meanwhile, the people next-door have got pots of money and love flashing it around — they’ve just bought a hot-tub, the show-offs. Sitcom-land is full of neighbours like that. This is the sort of comedy that Auntie Beeb makes while holding her nose. There’s no political message, no right-on characters, no urban edge. There are, however, plenty of straightforward laughs. If you still chuckle at repeats of George And Mildred, you’ll enjoy Warren. 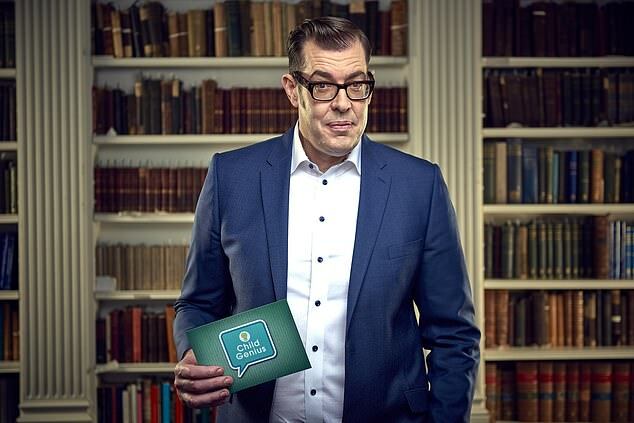 There’s more to enjoy about Child Genius (C4), too, since the arrival of Richard Osman as questionmaster. This quiz for under-13s is still as difficult as ever, but the cruelty has gone. 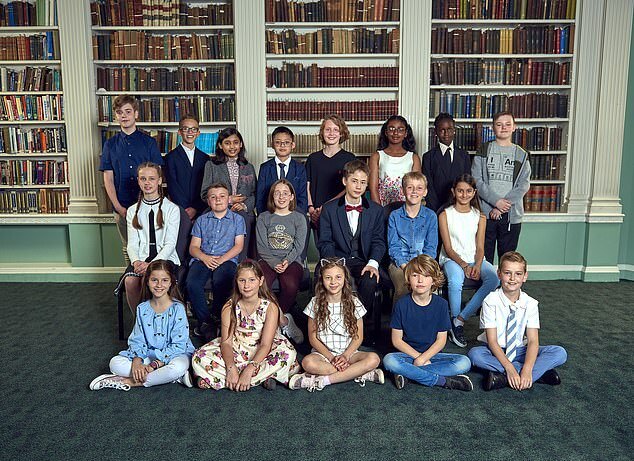 It’s an improvement on the original format, which seemed to sneer at the children, whether they displayed unfeasible knowledge or forgot everything they knew under the TV lights. There’s less outright mockery of the parents, too. A few are clingy, even eccentric, but we had none of the overbearing control freaks from previous years. The children continue to amaze. William, 11, learned the Zulu language in three weeks. Dan, nine, could effortlessly spell ‘churrigueresque’ and ‘epyllion’. Whether such prodigious intelligence survives into adulthood, no one seems to be able to say. One 11-year-old girl had been the brightest toddler in the world, with an IQ of 161 aged two. Yet she was the first to be eliminated from this contest. Work that out.